Home-use glucose meters provide a simple real-time means for diabetic mellitus patients to monitor their blood sugar. However, there are still many interface design defects in current glucose meter products which can easily cause operation errors. The aim of this study is to identify the perceptional information of commercial home-use glucose meter interfaces for the elderly. First, three aspects of perception information of glucose meters was examined, consisting of the behavioral information (BI), assemblage information (AI), and conventional information (CI) of glucose meters. Then, five elderly test subjects older than 65 years who never used home-use glucose meters before were recruited to perform usability tests in order to identify perceptional information. The results demonstrated that five parts should be used, and nine assembly processes should be operated during glucose measurement. The application for assembly-disassembly ability is required for the part-part category; the AI and CI provide effective support for this application. The critical factors that may cause operation errors involved lancing devices and test strips rather than glucose meters. Possible reasons for this might arise from poor design of product perceptual information or unclear symbols. 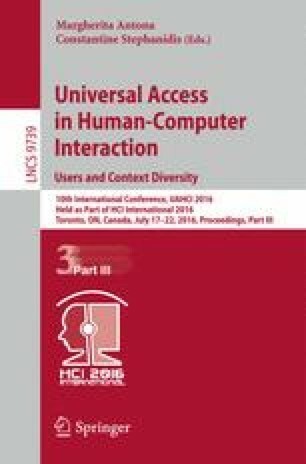 The conclusion is that product designers should provide more perception information, especially in terms of AI, to assist elderly users to understand how to use home-use medical devices such as glucose meters. The authors appreciate Chiu Shu-Yueh and the participation of elder adults. This work was sponsored under grant MOST 103-2410-H-130-050 - by the Ministry of Science and Technology, Taiwan.